Chinese Medicine is an ancient, natural medicine. Asian masters teach that we each are born with a certain amount of “Jing” (Life Force Energy), and when we have expended it, that’s all there is. Therefore, it is important to be judicious with your Jing. Why waste your Jing on being mad at the mailman or feeling mistreated by a co-worker or family member? Focus your Jing on creating positive relationships and a beautiful environment for yourself…and others on the planet. In this article, we will cover certain philosophies, practices and foods which are believed in Chinese Medicine to create a longer, healthier life. Let’s take a look at each concept, each on its own merit. 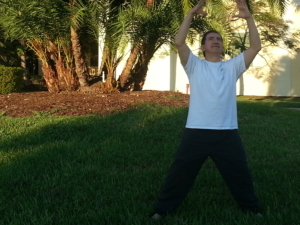 In every martial art, Qigong, Tai Chi, Kung Fu, etc., the Breath is a key part of the practice. Practitioners breathe in and out in specific ways to increase their power. 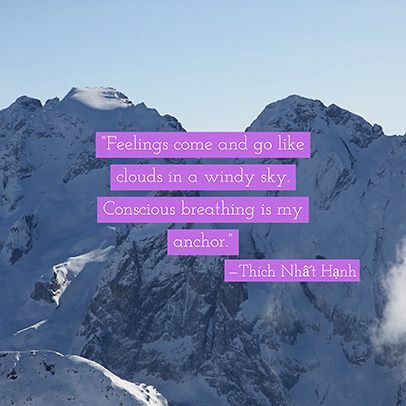 Breathing in with intention brings universal energy into the body called “Qi”, (pronounced “chee”). Exhaling on the exertion increases the power of the movement. You have all heard the sounds these martial artists make! It is involved with using their breath and acquiring/using Qi! Asian Cultures have known, taught, and practiced breathing techniques for thousands of years, and now we also have scientific proof that exercise, which involves a lot of breathing, is key to longevity. Exercising brings benefits to our bodies such as raising metabolism, oxygenating our blood cells, maintaining strong bones, relieving stress, detoxing our bodies and helping us maintain clear minds. Recently, modern humans have uncovered an amazing longevity process which significant exercise can start. Exercise can literally turn on reverse-aging mechanisms in the body! Pranayama and Therapeutic Breathing techniques taught in India and other parts of Asia also turn on the body’s own healing mechanisms. A few minutes of practicing the Warrior Breath will oxygenate your body to the point that you will literally feel a strong buzz and tremendous amounts of energy which will last for hours. Consider this form of breathing as a Medicine. In 1931 Dr. Otto Warburg won a Nobel Prize in Science and Medicine for his proof that cancer cells cannot live in an oxygenated environment. We teach these ancient, medicinal breathing techniques at our clinic. You can do it whenever you like, and it’s easy to breathe…why not put therapeutic breathing in your bag of natural health tricks? It is possible to survive for several weeks without food… and several days without water. But you cannot survive for longer than a few minutes without air. Of course, the air you breathe needs to be clean to support a long and healthy life. Seems like an obvious health concern, doesn’t it? The water we drink needs to be clean and pure. Here in America, we mostly have what is generally considered “good” water, but most cities add chemicals to the water, some for dubious reasons. Some cities hide the truth from their citizenry, which, of course, always comes to light in the end because people (and children) become ill. We personally filter out not only the chlorine, but also the fluoride, a known, neurotoxin, and chromium-6 which correlates with fertility issues and lung cancer. It is found in higher quantities in Naples’ water supply than in Fort Myers’ and in lowest concentrations in Charlotte County. Drink a good, pure water to give your gut and brain the best environment you can! Your brain swims in 65% sea salt water (hmmm…that means you probably need some sea salt in your diet too, yes?!). That fluid needs to be replenished approximately every two hours. If you are having headaches, muscle aches (your heart is a muscle), these are a couple of signs that you may not be drinking enough or are too low in certain minerals. There are modern tests under the category of Functional Medicine, which check food absorption and mineral content in the blood. Your Spinal fluid is a fluid. The discs between your vertebrae are filled with fluid. Water is required to replenish that fluid. If a disc becomes dry, it loses its cushioning effect, and severe pain and injury can eventually occur. Bottom Line: You are more prone to have injuries and other chronic issues if you’re dehydrated. Caffeinated drinks are diuretics (take water out of the body). Alcohol and sodas require a lot of water to process (and have their own sets of other issues). Make sure you get adequate, good, filtered water. Our guideline is: Divide your weight by 2, and drink that many ounces per day. If you weigh 150 pounds, you would drink about 75 ounces of water per day. Favorite Longevity Foods in Chinese Medicine include Medicinal Mushrooms (especially Reishi, Lion’s Mane, and Chaga), and goji berries with their 18-amino-acid profile and a rare phytochemical called Zeaxanthin, one especially important nutrient for the eyes. For centuries, all the Chinese Masters have consumed goji berries and medicinal mushrooms as a part of their personal longevity programs. Eat real food, not processed. What you put into your body counts…as real nutrition for your cells or substances that slowly damage and weaken you over time. The S.A.D. (Standard American Diet) is NOT what Chinese Medicine calls real “food”. However, and many people don’t know this: It is also about what you absorb, not simply what you eat. If your digestive system is damaged, e.g. with leaky gut or any diagnosed digestive issue, or if it is out of balance, with more “bad” microbes than “friendly”, even a good diet may not be absorbing properly. Once again, Functional Medicine can test for micronutrient absorption. We can help you get these tests to find out. Here’s a quick list of a few important foods to include in your diet, starting with one of the most common and powerful classes of food we recommend you eat every day! Fermented Foods. In the first article in this series, Longevity and the Gut-Brain Connection, we focused on the reasons you need fermented (aka “cultured”) foods. They are important for everything from your immune system to your brain clarity. This is EASY! Whether you make them (cheap and highly effective), or you buy them, these foods contain probiotics (strains of friendly bacteria) to help rebalance and maintain a healthy gut. We teach fermented foods classes several times a year, and it’s often a “make and take” workshop. Fun—and oh so powerful to prevent and reverse many, many, many health woes! Black Sesame Seeds. Possibly the highest source of absorbable calcium, this food is in the Bone Healing Protocol of Conquering Any Disease. Black sesame seeds also contain melanin, that built-in substance in our skin which protects from too much sun exposure. It is also stored in high quantities in the brain, and anything stored in an organ is typically in high demand by that organ. Brazil Nuts. Best known as the highest selenium-packed food on the planet, you only need one nut per day. Selenium is another of those critical trace minerals in which many of us are deficient. Sure, you can take supplements, but you’re missing out on the full-spectrum of other co-enzymes and compounds which work synergistically together. Along with Iodine, Selenium has key import for both thyroid and breast health. DHA & Saturated Fats. Conquering Any Disease (a high-phytochemical food healing system) quotes science studies to support the primarily-Asian-based food healing knowledge put into its practical protocols. The oils which support us evolutionarily are raw olive oil (cold, not cooked), coconut oil, goat dairy, butter and ghee. DHA, an Omega 3 oil, deserves its own emphasis specifically as a brain protectant and healer. It literally comprises 30% of our brain mass, and it is the preferred building material for our brain cell membranes. Supplement with it or get it via consumption of spirulina (vegan option), anchovies, herring or wild salmon. Even eggs have some naturally, and the eggs of chickens which are fed spirulina or other algae show a huge increase, up to 57 mg of DHA per egg. I’ve been seeing them in the grocery stores lately, have you? Learn more about the dramatic impact of oils you eat in this article: What killed Robin Williams? Ginger. Known and loved in many cultures, this is a staple in any medicinal protocol. Among its powerful phytochemicals are gingerol and zingerone which give this rhizome the power to give you pain-free living, and halt nausea. Ginger has an advantage over turmeric because its main phytochemicals are water soluble, whereas turmeric’s are harder to absorb. Got pregnancy, chemotherapy, or sea-sick issues? You want some Ginger Inside. Either cooked or cold, this herb is a powerhouse! One caution: It is also a blood thinner, so if there are medications or recent surgery involved, you may not want much, and certainly not right around a surgery. Same for pregnancy…a little is enough. Lion’s Mane Mushroom. Boasting not one– but TWO–nerve-growth factors, this culinary mushroom contains true neuro-generative compounds. The results are almost magical in people with brain issues and damaged nerves. It is also Ancient Chinese Medicine, and we carry it in both capsule and extract forms. Get the full story on Lion’s Mane, you’ll be glad you did! Raw Cacao (dark, unprocessed Chocolate). Alright, you caught me. Raw cacao is a South American superfood, not used in Chinese Medicine. It doesn’t grow there. This food is the seed of a fruit from the Theobroma tree and was known by the Aztecs and Mayans as “The Food of the Gods”. It is arguably Nature’s highest antioxidant food, protecting cells and your DNA against the ravages of aging and disease. It is highly anti-inflammatory (translation: pain relieving and disease preventing!) and oh-so-supportive of cardiovascular and brain health. It delivers many happy brain chemicals and beautiful, glowing skin, plus it is a favorite food of your friendly intestinal bacteria. So on this level and others, it is immune supportive. Talk about brain protective, blood flow enhancing and much more, raw cacao, is a superfood which is definitely on the menu for Longevity Fans. Raw cacao also delivers therapeutic levels of magnesium (also found in dark leafy greens, beans and nuts). It is required for hundreds of crucial-but-microscopic functions in our bodies. One example: Magnesium is necessary for the production of ATP—this is the energy food for our mitochondria. Our mitochondria are the power stations of our cells. Turmeric. Anti-inflammatory. Studies with Alzheimers show significant improvement due to its anti-inflammatory nature. It is widely thought to be the reason India has 75% less cancer than the U.S. Turmeric is a fat-soluble spice with top-level immunity boosting effects whose effects are best unlocked by cooking in oil and/or serving with black pepper. It’s easy to grow in Florida too! Of course, you can also use the dry powder if you don’t have the juicy rhizome. Curcumin (a compound in turmeric) is 5-10% of the weight of turmeric, and it is often extracted and included in supplements for it’s high anti-inflammatory effects. Walnuts. Looks like a brain, doesn’t it? High in vitamin E, this food is key to our brain health. And it is a significant source of melatonin. It can help put you to sleep! Either by themselves (5-6 walnuts) or paired with a small handful of tart cherries (or Montmorency cherry juice), and you’ll be asleep in about an hour. Xanthohumol aka Lucidin or Hops X Factor. Say WHAT? You’re right: This one isn’t a Longevity food touted in Chinese Medicine. It is a fairly recent discovery, a compound found in hops (as in beer), which extends the life of the DNA protein complexes at the ends of your chromosomes. Their job is to maintain genomic stability. In other words, want to keep your brain cells replicating correctly and keep them young? 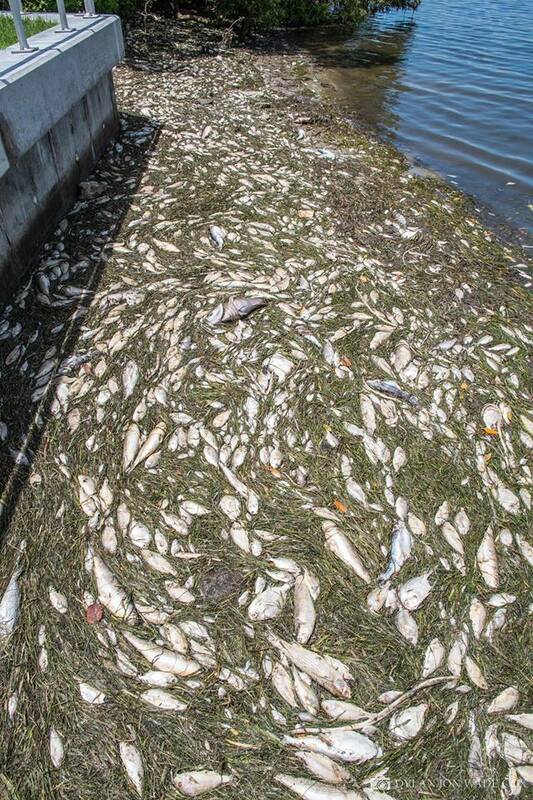 You want THIS in a food, and beer may not be your best choice. For one, it contains gluten via the barley. Of course we carry Xanthohumol. It’s in the Longevity Chocolates in our lobby. In Chinese Medicine, we talk about Blood Qi. We can discuss this in more Western terms as “blood chemistry”. Your brain is constantly putting out customized chemicals, and these chemicals are bathing your body 24 hours a day, 7 days a week, 365 days per year. Some chemicals will help your body age well, and clearly, others are damaging. Stress and fear can kick off a body bath of adrenaline and cortisol. While there are times when these chemicals are necessary for survival, in our modern world, these too frequently get out of control. Our cells suffer damage, early death, and may no longer replicate “true”. Under a constant barrage of damaging chemicals, people become depressed, overweight (or under) and sick. This all happens inside, and it comes from your brain chemicals. Addressing the thoughts you think can take many forms. You can just as easily create “happy” chemicals as “stress” chemicals in your body. Take a moment to FEEL grateful for a single breath. Hold on, now! Remember, you’ve got to FEEL it, not just think it. Just as thinking about being afraid doesn’t create the negative chemical bath in your brain, nor does just thinking about being grateful create the good chemistry to bathe brain and body. Blood chemistry changes require FEELING. This realm of our health can be deep, dense, and stubborn to change. It moves into the unconscious mind…our deeply-ingrained beliefs from childhood, for example, or a trauma we experienced. Healing these may become a spiritual quest. They certainly require tools which may be considered “outside the box” in terms of standard medicine. Polarity Therapy, Reiki, Emotional Freedom Technique, and Theta Healing are all options available at Lotus Blossom Clinic. Our longtime gold standard in the feel-better category is Chinese Medicine. 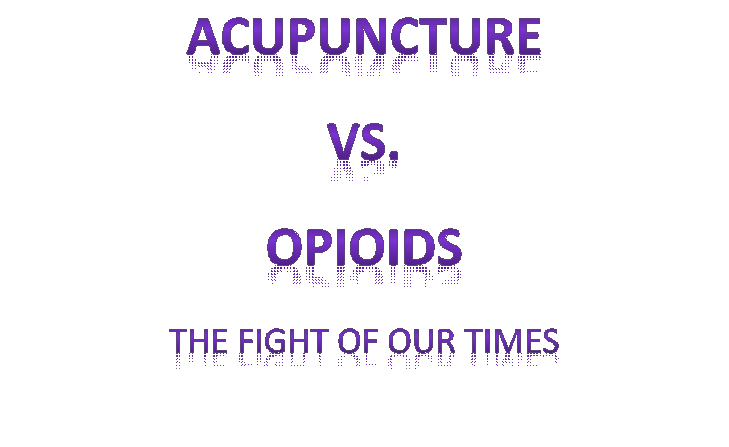 When your chronic pain is diminished or gone, or an aching heart from the loss of a loved one is eased, we are grateful to have helped with acupuncture, TuiNa or food/herbal remedies. If you don’t FEEL happy and calm, call us. If we don’t offer what you seek, we have many other ideas to help you on your path. We are convinced of this: With Love, Joy, and Purpose in your Life, you are far more likely to live a long and healthy life! Article #3: A Brain Requirement, Ancient Wisdom & New Science on Reverse Aging. Conquering ANY Disease, The Ultimate High-Phytochemical Food-Healing System, Jeff Primack, Press on Qi Productions, 2015. Medicinal Mushrooms, A Clinical Guide, Martin Powell, Mycology Press, 2014.